This shop has been compensated by Collective Bias, Inc. and its advertiser. All opinions are mine alone. 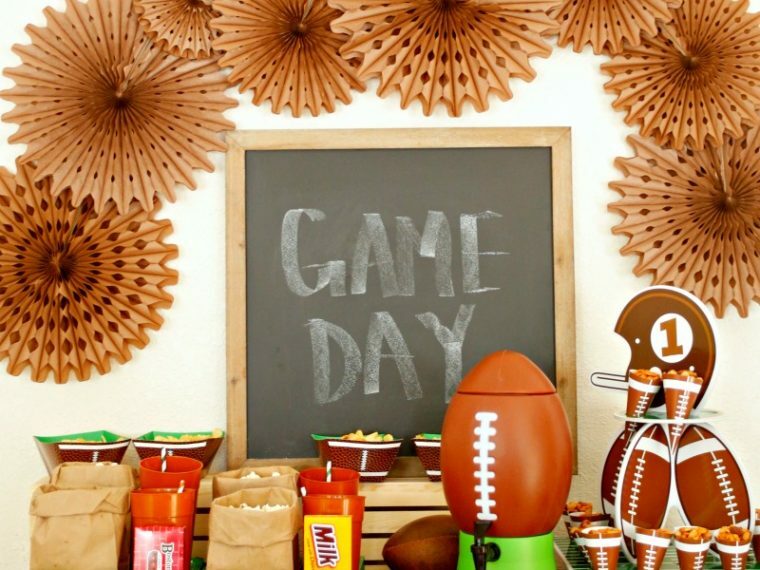 #AllStarSnackBar #CollectiveBias Are you ready for the Big Game? 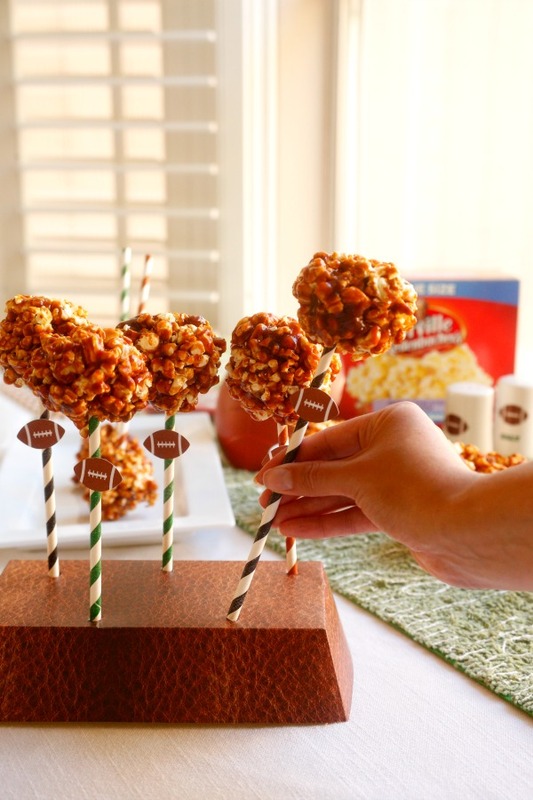 We are thanks to these Barbecue Popcorn Balls. I love popcorn. And so do my little boys and my husband. In fact, we eat popcorn almost everyday. It's an absolute necessity whenever we watch a family movie. When we're not actually at the movie theater, I like to make Orville Redenbacher® Movie Theater Butter popcorn so we can pretend that we are. 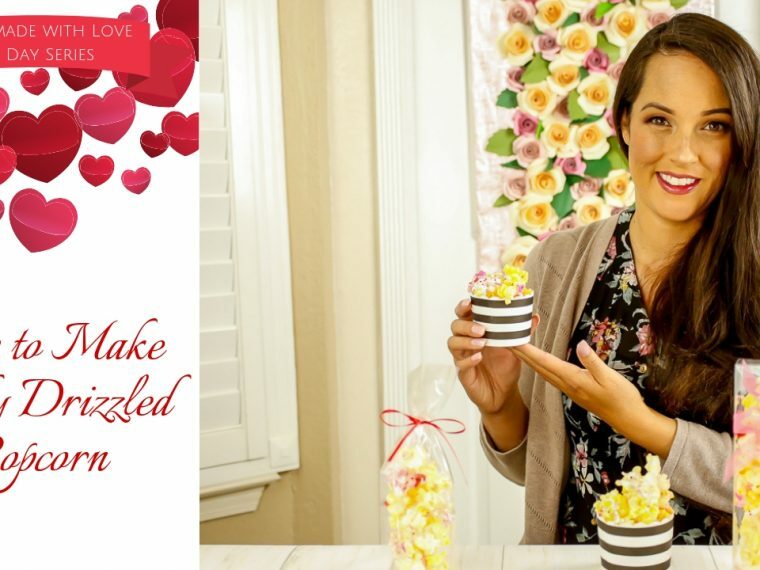 We eat it straight out of the bag, but for special events, I like to transform this yummy popcorn into a different treat. 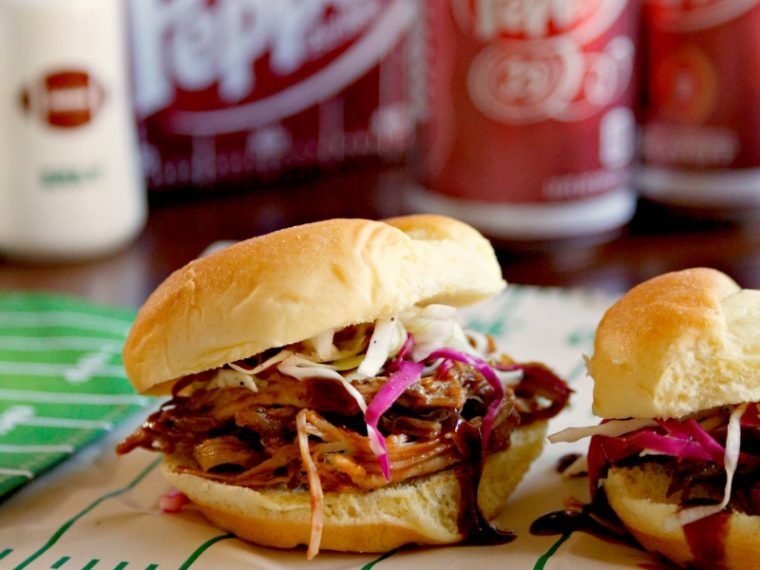 We live in Texas, and nothing says Texas like Barbecue and football. 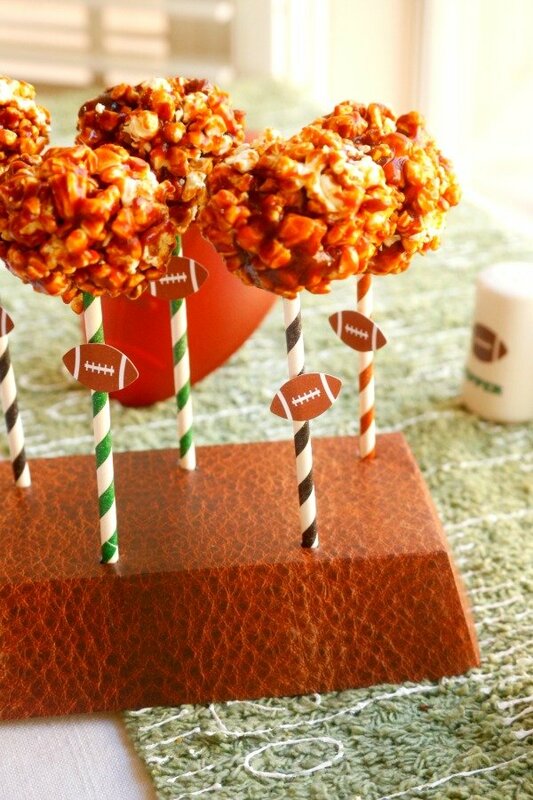 So for the game this weekend I'm making football themed barbecue popcorn balls. They're full of ooey gooey and crunchy goodness. 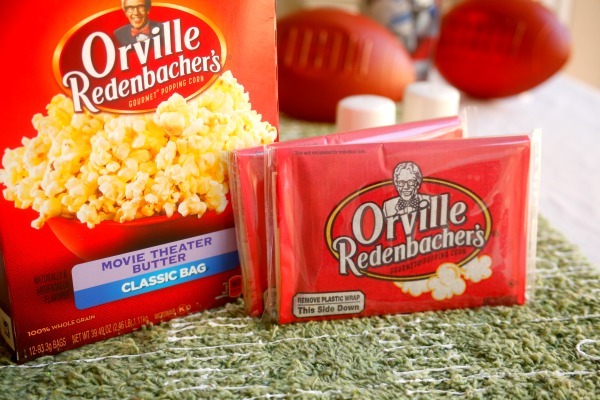 To make the popcorn balls, you first need to pop a bag of Orville Redenbacher® Movie Theater Butter popcorn and place it in a bowl. Be careful not to include any unpopped kernels. To make the barbecue caramel sauce, heat butter, brown sugar, light corn syrup, and your favorite barbecue sauce together in a heavy bottomed sauce pan. To make sure I get my popcorn balls just right and consistent every time, I find it helpful to use a candy thermometer. The ingredients need to boil together until they reach 250 degrees fahrenheit. On the off chance you don't realize how hot this is, IT'S REALLY HOT!!!! What ever you do, do not taste test or touch the caramel while it's cooking. And it's also important to use either wooden or metal utensils. A plastic spoon or spatula will definitely melt. 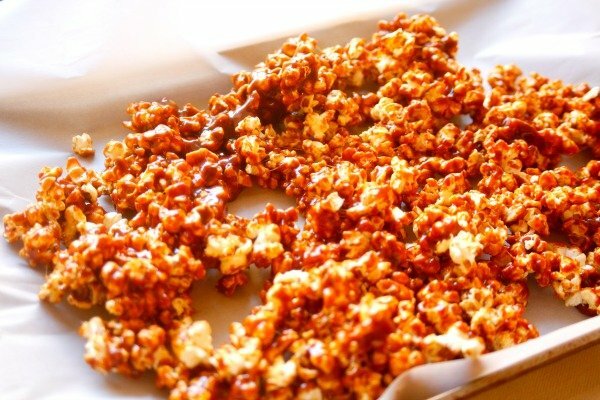 Once the barbecue caramel sauce is ready, pour it directly over the popcorn and use the wooden or metal spoon until all the popcorn is fully coated. 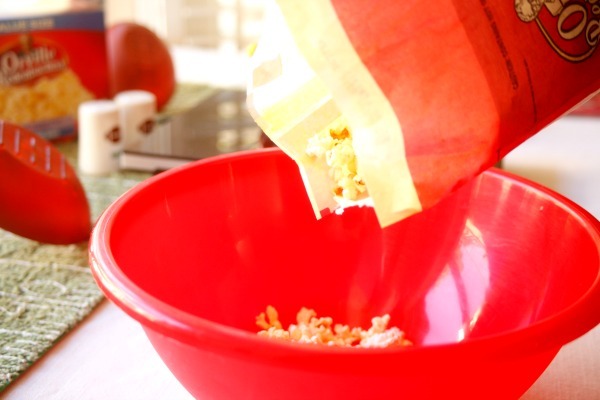 Then spread the popcorn onto a piece of parchment paper and allow to cool slightly for 3 to 4 minutes. So the popcorn doesn't stick, spray your hands with cooking spray before forming the popcorn into balls. 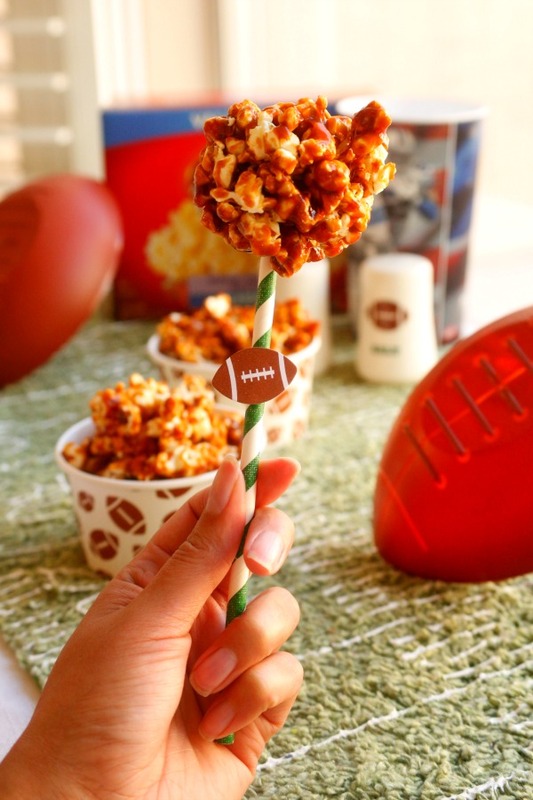 I wanted to add something fun and festive for my barbecue popcorn balls, so I formed mine around football themed straws. 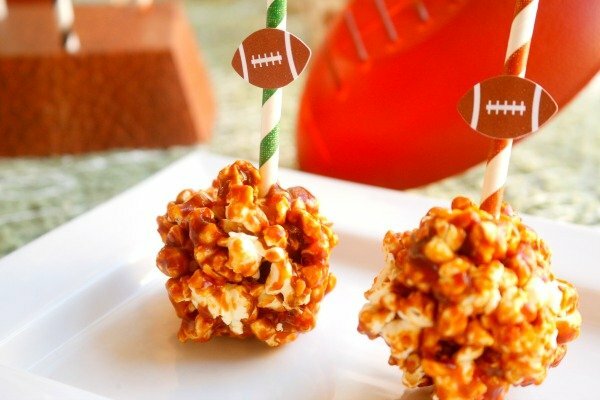 If you don't work quickly enough, the popcorn will cool too much to form them into balls. That's okay! Just break up the rest of the popcorn and serve it like that. and placed into a football display. 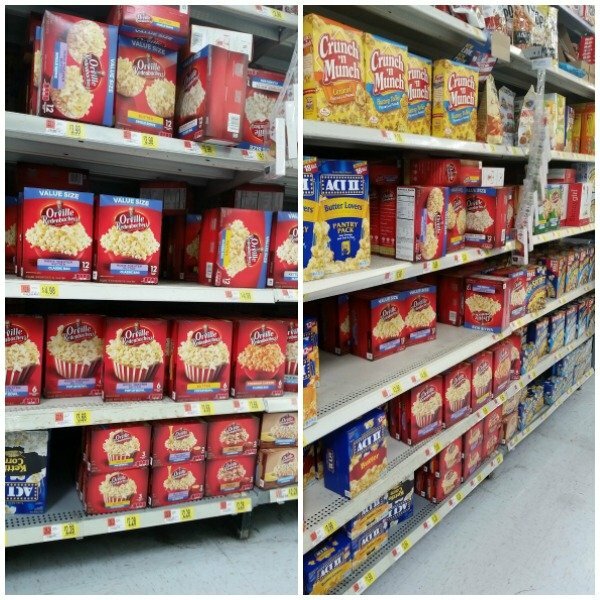 You can pick up your Orville Redenbacher® Movie Theater Butter Popcorn at Walmart on the popcorn aisle. 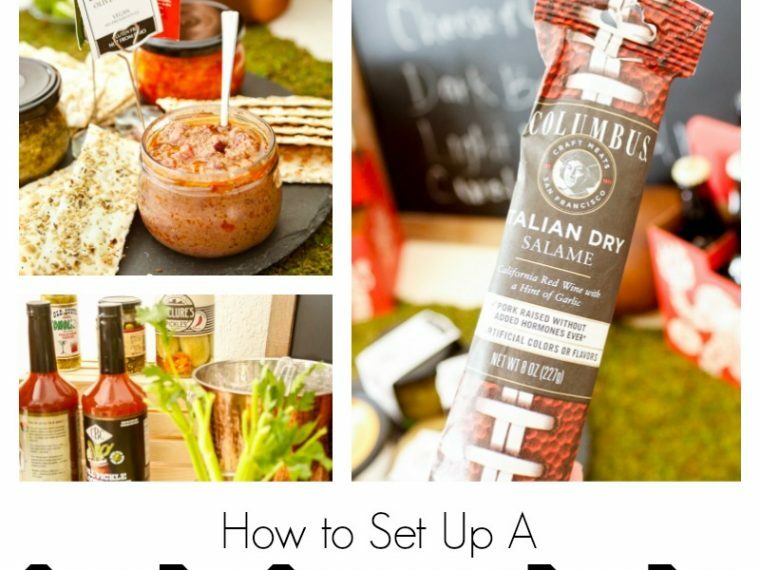 You can get your other ingredients and probably the candy thermometer while you're there too. 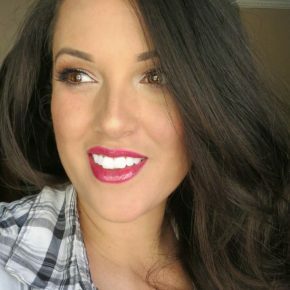 You know what they say - if Walmart doesn't carry it, you probably don't need it! I even picked up my cute football straws from Walmart. Here's a quick video on just how easy these barbecue popcorn balls are to make. 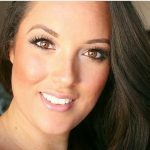 Your guests should love these and I hope you do too. 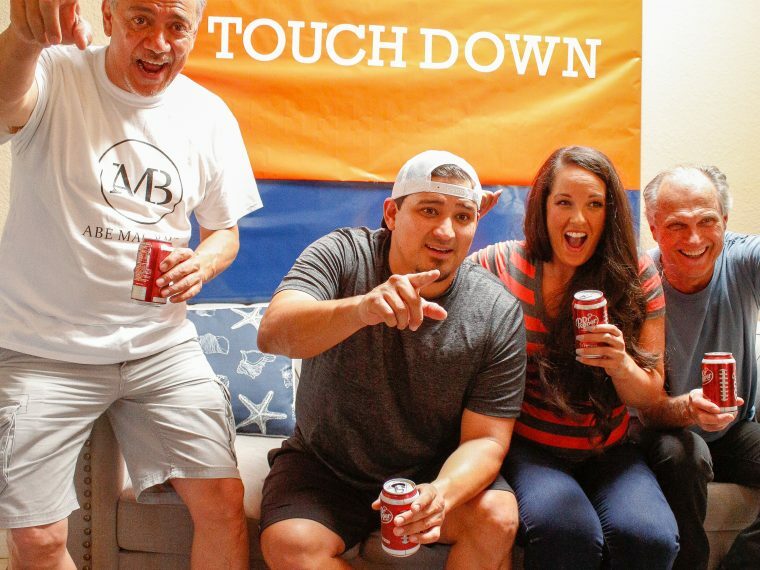 For more fun recipes and Big Game inspiration click here. Go Team!!!! Place the popcorn into a large greased bowl. 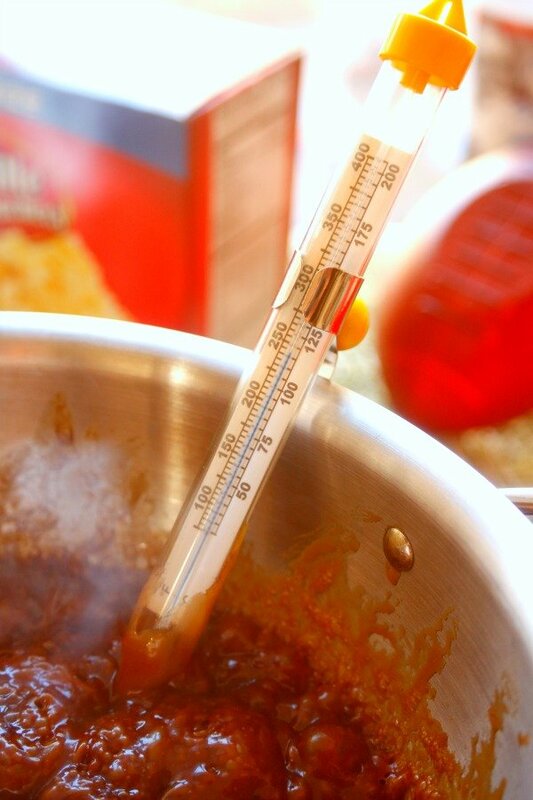 Attach the candy thermometer to the pan you will be using. Over medium high heat, melt the butter along with brown sugar and light corn syrup. Stirring occasionally with a metal or wooden spoon, bring the mixture to 250 degrees fahrenheit. Add the barbecue sauce and return the mix to 250 degrees fahrenheit. Remove the sauce from heat and pour over the popcorn. 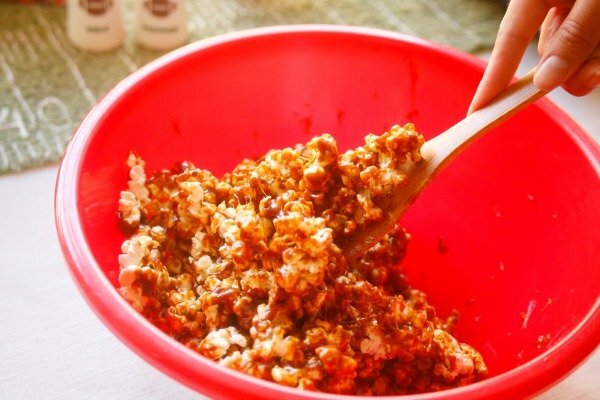 Toss the popcorn with the sauce using the same spoon until evenly coated. 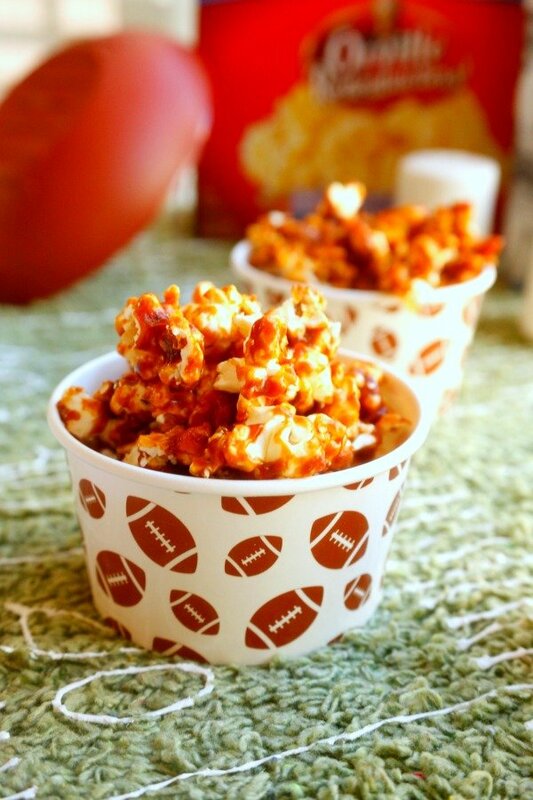 Spread the popcorn onto parchment paper to cool. 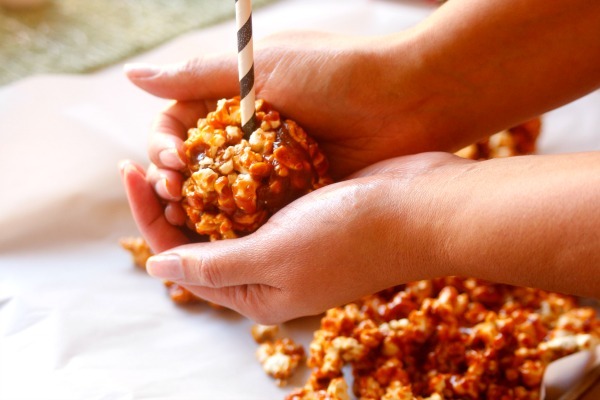 Once cool enough to touch (about 3-5 minutes) coat your hands with cooking spray and form the popcorn into balls. Allow to cool completely and serve.